4. Pays for cover/entry, travel, and parking charges. 5. Retains artist for date(s) and hour(s) assigned. 1. Deposit: Paid during signing. 2. Final: 100% of remaining balance paid in conclusion of delivery of images. 1. Client will not receive the images until balance is paid in full. 2. After seven (7) days the option to obtain images is void and court will be notified. 1. Artist holds copyright to all images even if images/files are turned over to client. 2. Agreed that images may be displayed on personal websites, internet promotion, contests, advertisement, and any other purpose thought proper by artist. 3. If images are used or sold, artist is suggested to notify client. 4. 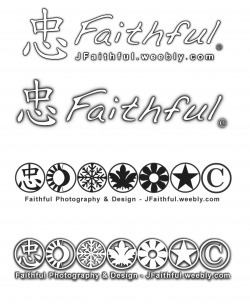 Photos are protected with copyright law and may not be reproduced without Faithful's explicit written permission. 1. Limited copyright ownership of images. 2. If Client purchase art, client has permission to reprint, limited sharing to family and friends only. compensate prior to the client or their friends / relatives publishing or selling images. 4. Any use for any gain will be considered copyright infringement. 5. No alteration to art. 6. Artist must be notified if/when images leave the local Louisville / Southern Indiana area. 7. Images if published on personal site or shared must keep copyright notice that appears on images stating they were taken by Jeannelle Faith - Faithful Photography and Design. 1. Client - Regardless when the project is cancelled, deposit and copyright is retained by artist. Unless client reschedules with written agreement. Payments beyond retaining fees are due in five (5) days following the cancellation by client. If the event is unable to be rebooked client forfeits the non refundable costs. 2. Artist - Regardless when the project is cancelled, all money is returned to client. Client retains any already purchased art. Unless artist provides rescheduling or replacement artist with written agreement. Refund is due by artist to person whom funds are derived in five (5) days following the cancellation by artist. 1. In unlikely event that the artist is unable to provide the secreted services for any reason including but not limited to: illness, injury, emergency, act of God, inclement /insufferable weather, or any other circumstances beyond control, the artist will supply suitable replacement artist and no cost to client. The contact will be turned to said artist and signed in agreement. Otherwise see cancellation of artist. 2. Artist is not responsible for any negative cooperation and miscommunication defined in the agreement. including not capturing/ gathering desired photos if there is no cooperation to identify items, people, or locations. 3. Artist will not be held accountable for key individuals' failure to be present during session or missed desired images due to these details. 4. Client is given four (4) days after receiving images to notify the artist with any questions or issues. 5. Significant dissatisfaction of art will be resolved to the best of artists abilities as pre negotiated. 6. Every effort will be made to provide high quality art with upmost care using professional grade equipment. 7. In the unlikely occurrence that the images are lost, stolen or destroyed for reasons beyond the clients or artists control, the liability is limited to return all refundable payments and will not exceed the contracted price. Partial loss will amount based on percentage of total of received and lost. 8. To the best of artist knowledge, the work is original and not previously published. 1. Hours of services are logged. 2. When the pre discussed hours are near end, the Client will be notified. During this time the client may request additional hours or images at cost. 1. Disk or supplied external hard drive. Unless pre negotiated for requested and paid rush delivery. 3. Damage - with proof of significant damage through no fault of artist or client a second copy will be sent with negotiated discount. 1. 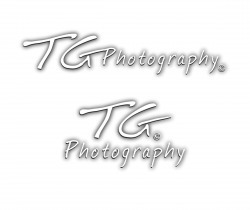 No other professional photographers are hired during this event unless under Faithful Photography & Design service. This case causes cancellation of client. 2. Cooperation is needed with guests and client- flashes, posing, interruption..etc. 3. No changes (oral or written) may be made to this agreement without prior authorization. All changes must be initialed and dated by both artist and client. 1. That the client creates a list of desired poses, locations, key subjects (family, friends, items, etc) and share the list in the pre event consultation. 2. Pre event consultation should be within 1-7 days before the event or during signing to finalize information listed. Able to mix standard photography to your liking. hours, images, editing and locations. suitable for the public (swim suits are allowed). Images can be taken at Dusk and during any season.